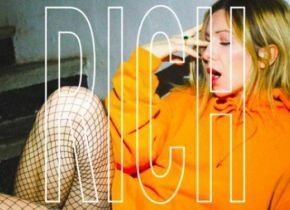 Swedish producer and singer MAYKA has today released her debut single ‘Rich’ through Warner Music. Opening with sultry future bass before breaking into a huge anthemic pop chorus, ‘Rich’ finds MAYKA celebrating the true finer things in life including love, relationships and friendships while casting away materialistic ideologies. The single is produced by LIOHN who also was behind Axwell & Ingrosso’s smash hits ‘More Than You Know’ and ‘Renegade’. The single marks the first release of the solo project from Mayka Edd, one half of the acclaimed electro-pop-rap duo Death Team, who have gained high profile support from the likes of Charli XCX, The Guardian, Noisey, SPIN Magazine, DIY among many others over a string of fantastic singles.